IMPORTANT INFORMATION: Please make certain to read your confirmation email carefully as it contains all the information on how to find us. 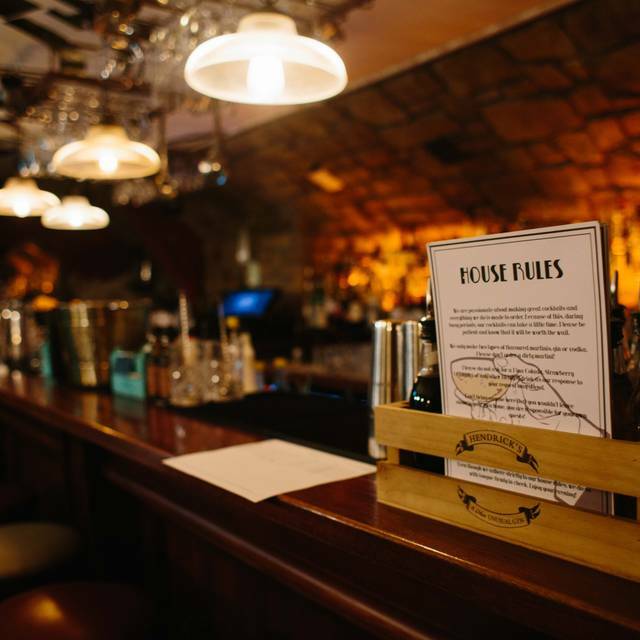 Secretly tucked away in Dublin city centre, there is an underground cocktail bar known for the quality and artistry of its cocktails that truly evoke the mood of a 1920s speakeasy — The Blind Pig, an underground venue that will tantalize the taste buds of cocktail lovers everywhere. We serve Prohibition cocktails coupled with delicious New York Italian food six days a week. Open from 6pm Sunday-Thursday and 5pm on Friday and Saturday. Experience the forgotten thrill of secret passwords, false storefronts and just a touch of lawlessness. But you have to keep it a secret. So shush! Food was beautiful, ambiance was great but the service was very poor. The waitress was straight up rude. Pity because everything else was fab! 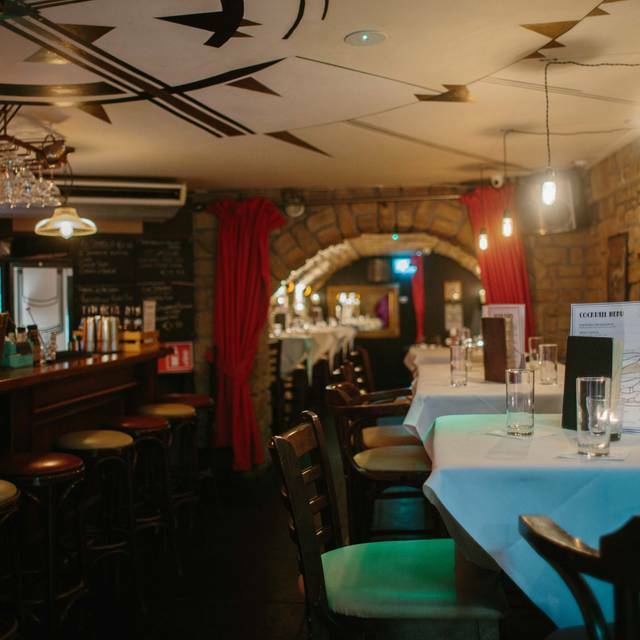 We were in Dublin last week, and went to Blind Pig, we had a great time! Our server Rodrigo was awesome and Federico the mixologist created some tasty drinks, our favor was Bon Bon. We will definitely tell our friends about this restaurant. We went for dinner and drinks on Wednesday and came back for drinks on Thursday, February 7, 2019. Loved our evening at the Blind Pig! From the moment we booked and got the secret code to get in to the underground speakeasy, through to the food and cocktails we loved all of it. Staff were really knowledgable and friendly, the musician that was in was perfect for the atmosphere, the food was delicious and the cocktails were potent! Highly recommend. 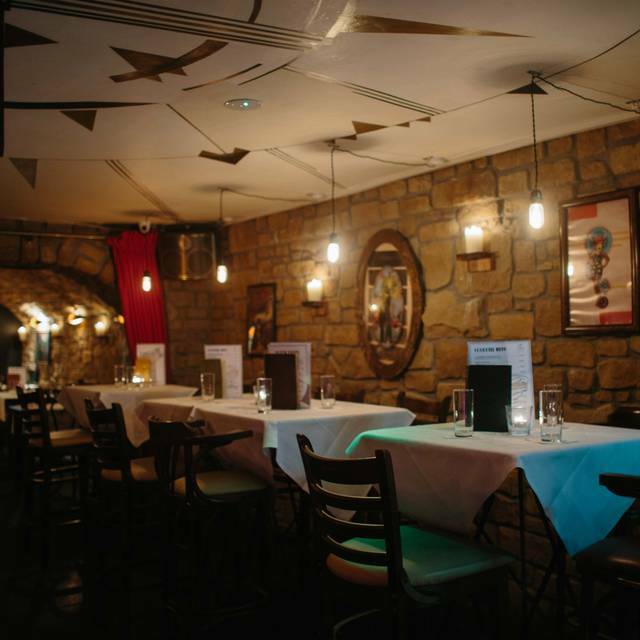 Great place for a quirky night out, loved the whole idea of how it is set up, food was excellent, service excellent, would definitely recommend. Really cool resteraunt. I like the way you have to push a button for the secret door to open. Really good cocktails. It’s a little pricey for Italian food but would recommend it. Our group of 12 had a lovely meal here. For starters, we had grilled veggies, charcuterie and burrata mozarella, and my main was the pumpkin tortelloni. While it is not the best Italian food in Dublin, it was yummy and nicely presented. 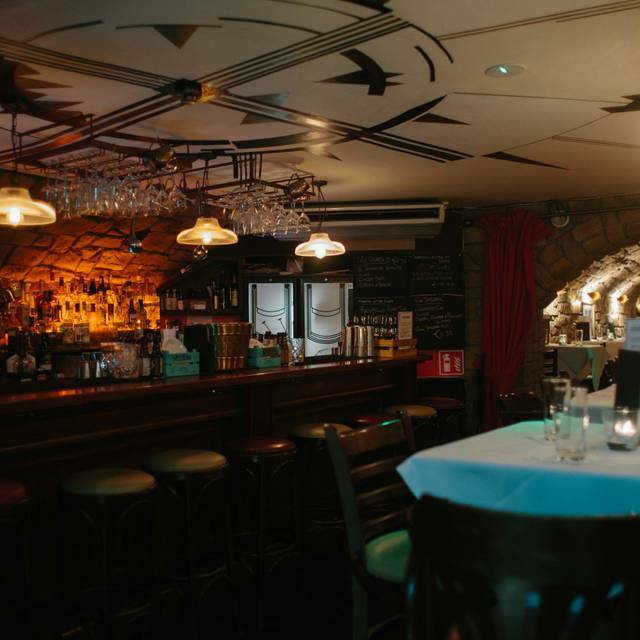 The Blind Pig is particularly great for its ambiance: a cosy cellar-like space, with flapper-era music and intimate lighting. We asked for a custom, surprise cocktail and we got a wonderful gin-based concoction. The service was very polite. Really enjoyed our meal here on Saturday evening. Great athmosphere! We had a lovely experience celebrating our anniversary in the Blind Pig. Such a cool concept with the hidden location, the ambiance was so pleasant and the staff were relaxed and friendly. Food was delish and the cocktails were unreal. Cant really ask for more! Looking forward to our next visit! 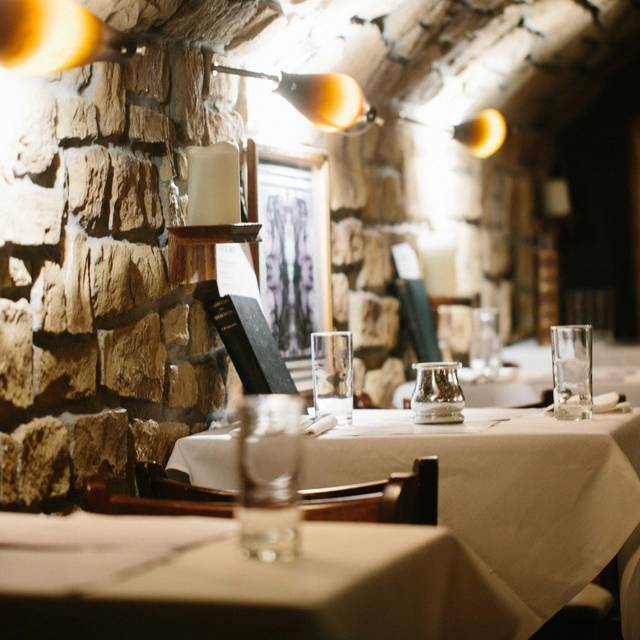 Beautiful, romantic quiet restaurant tucked into the streets of Dublin. Wonderful date spot! Entry into The Blind Pig was unusual but fun. The only downfall was the smell of incense on arrival. Interesting hideaway restaurant that specializes in cutom cocktails. The speakeasy theme is neat but not really played up once you're there. A great place to go for dinner, once. PS. A reservation is a must and they only allow 2 hours max per seating so don't expect to hang out real long. I am came with a party of 4 and we enjoyed our time. I ordered the pumpkin tortellini it was so yummy glad I got it would definitely eat here again. Wonderful pre-theatre meal and cocktails. We had main courses, deserts, and cocktails. All yummy and a wonderful ambiance! 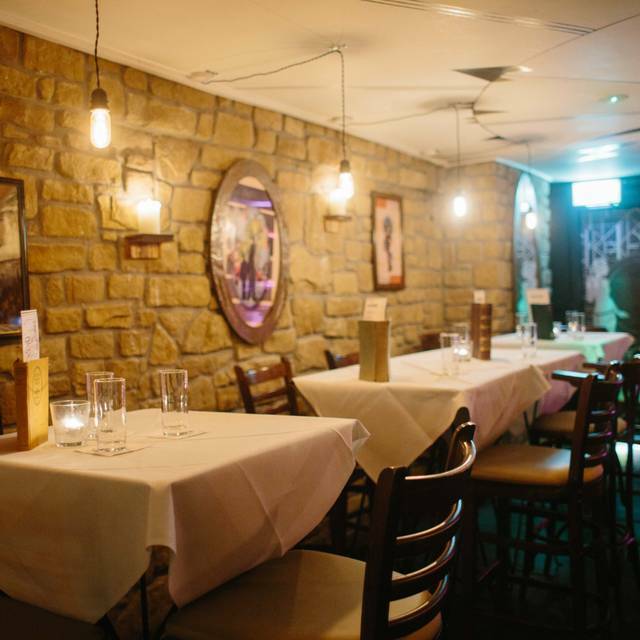 Lovely cosy atmosphere, great food and service. Only gripe was it was really hard to see the menu and what was on the plate because it was so dark! I had a thoroughly enjoying dining experience at the Blind Pig and I will be sure to recommend and come back. Thank you for a great evening. Different dining experience. Highly enjoyable. Good food and staff very friendly & knowledgable! Absolutely delighted to have been able to book a table for six at rather short notice. We were in Dublin celebrating my husband's 50th birthday. A friend had told him about The Blind Pig, but we never dreamt we would be able to get in for a meal. What a gem. Quirky and delightful, with lovely staff and an excellent menu. The cocktails were magnificent! A truly memorable evening, which finished off my husband's special day to perfection. What a great find! It's an authentic speakeasy! Unfortunately a large (noisy) group moved in beside us which was irritating. 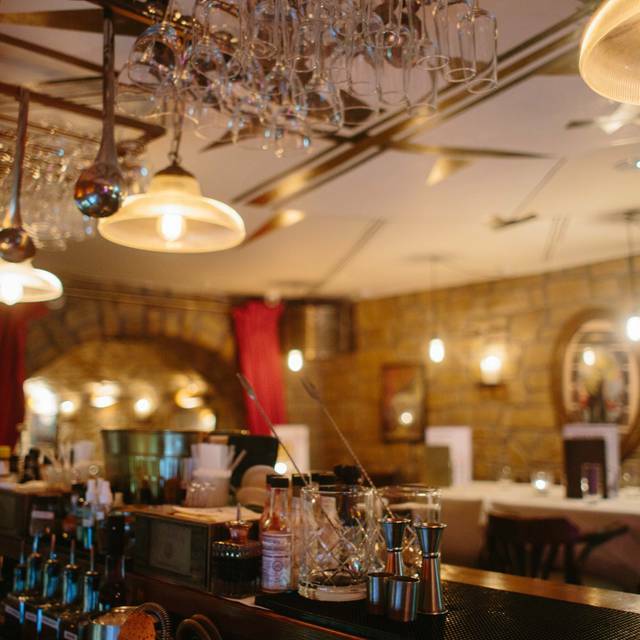 The staff did try to quiet them, as they try to stay true to the "speakeasy" hidden atmosphere. If not for that group, I would have said 5 star! 4-star all the way; from cuisine to customer service. The Hidden Pig is a hidden gem...literally. Don't get discouraged when your direction ap says, "You've arrived at your destination" and you can't find the restaurant sign. 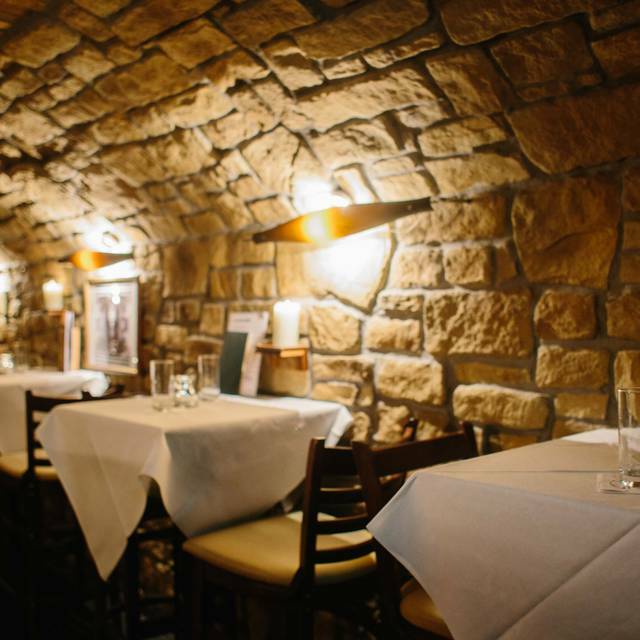 Enter the street level restaurant and go down the stairs to the cellar. Not everything in Ireland is as it seems. You won't be disappointed! Great food and great cocktails! Made out last night in Dublin special! We were expecting an Italian restaurant, and what we got was a fun, delicious experience . Playlist was wonderful, then a live singer at 9. Food was very good, nice selection for everyone on the menu. Service exceptional. a bit of a hunt to find the place, but that added to the fun. My husband and I had been looking forward to this unique dining experience since before our trip to Ireland. I made a reservation, got the info and we were both very excited. When we arrived, we checked in and were seated pretty quickly. It went downhill after that, the service was bad. We had to go to the bartender to get our order taken, the waitress completely ignored us while being quite attentive to the tables around us. The food was good and the drinks were great and we had a nice evening together but for a pricey meal, you expect better service. Now, I don't like to be bombarded and it is a dark, kind of intimate space, but the service was non-existent. Honestly, we probably could have walked out without paying the tab and no one would have noticed. To pay our bill we went to the bar, and stood there until the hostess noticed that we were waiting with coats on. Fun idea. Great Friday eve spot for a cocktail and some easy Italian food. Nice athmosphere and friendly staff. Fun visit to The Blind Pig. Nice atmosphere and got a great welcome. 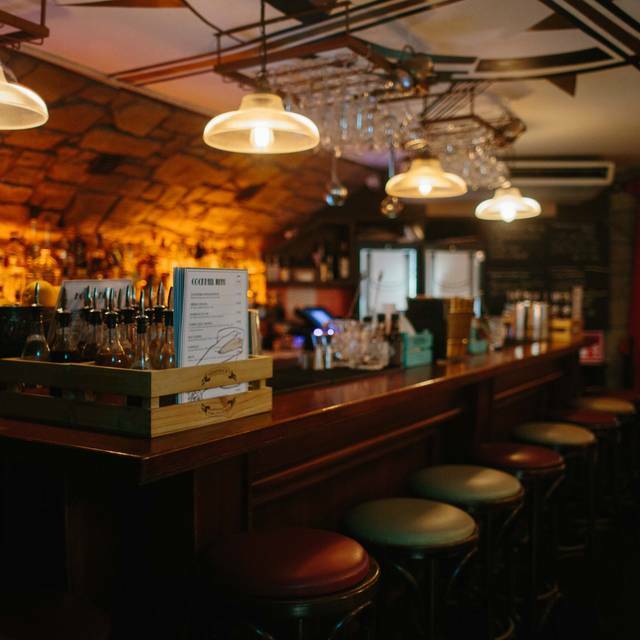 The Blind Pig is a lovely place which is tucked away from tourists’ gazes. They serve fantastic cocktails which play into their Prohibition-era theme, and their food is a real treat. The service is very friendly and I honestly have no complaints. Very cool idea! Loved it!